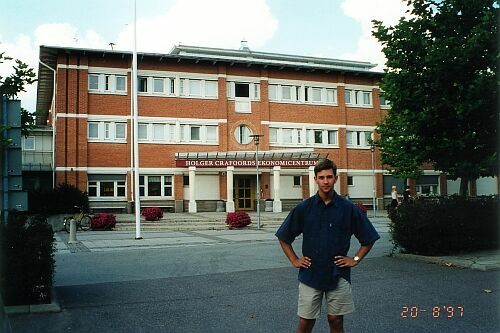 During my military service I also applied for the School of Economics and Management in Lund Sweden, the Naval Academy in Helsinki and the London School of Economics and Political Science (LSE). With my luck I succeeded in getting into each one of these institutions and was know faced with a choice of three quite different educational possibilities. 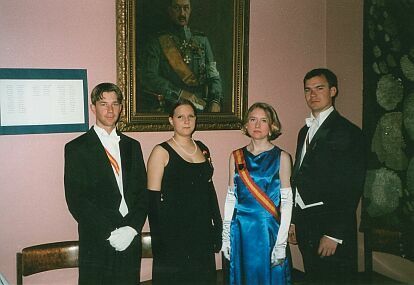 After just completing my military service Naval Academy didn’t feel so tempting although only 7 applicants from about 200 were chosen and the program at London wasn’t as extensive as the Swedish one. 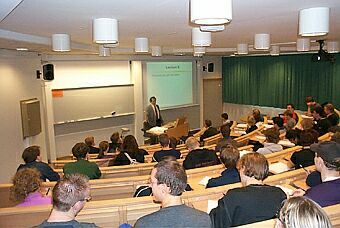 So after many days of pondering I chose to start my academic studies at The Lund School of Economics and Management, which is an institution under the University of Lund. The Business school is among the few schools in Scandinavia with the prestigious EQUIS Accreditation by the European Foundation for Management Development. 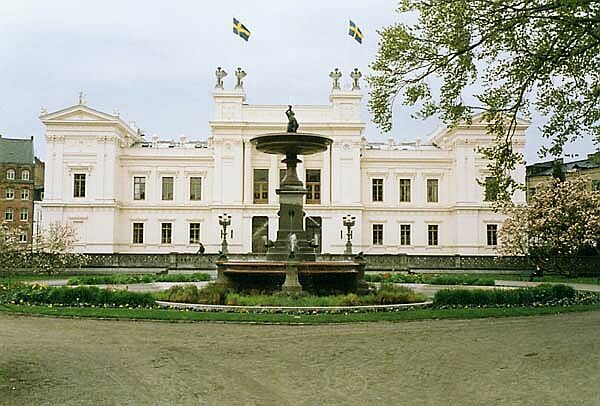 The University of Lund is the largest single establishment for research and higher education in Scandinavia. 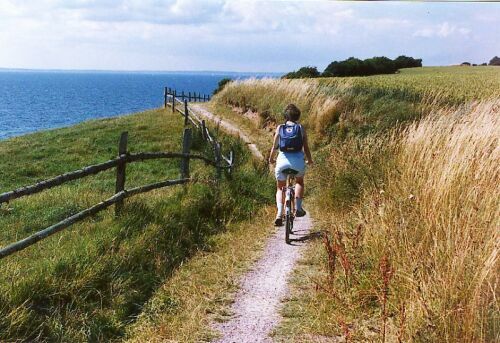 Founded in 1666 and situated in Southern Sweden with just an hour’s journey by train, ferry or even car to Copenhagen. Today there is a modern bridge connecting Denmark´s Copenhagen to Sweden´s Malmö. Choosing Sweden wasn’t so easy considering leaving behind a very vivid social life in Finland and starting everything anew. But what the heck, Carpe Diem, nothings free and you can’t win without first losing. Learning a new language and of another culture is always a privilege. Moreover fluent skills in Swedish are specially appreciated in Finnish business life as Finland is officially bilingual. 6-7% of the Finnish population speak Swedish as their mother tongue and it's also a compulsory subject in school. 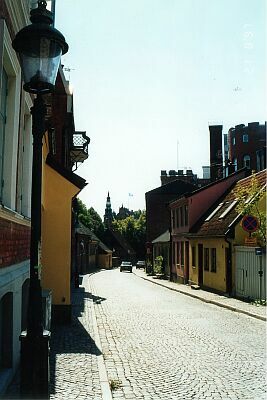 Despite some moments of despair with adapting to a different language and social environment the time spent in Lund from fall term 1997 to January 2002 was an interesting and educational experience. 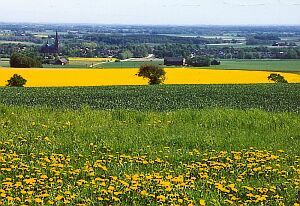 The city of Lund is one the most favourable considering it from the student point of view. Scandinavia’s largest university with over 35,000 students makes it quite a lively experience. There’s hardly an evening without a party somewhere and you can engage yourself in an almost unlimited variety of student activities. The city itself is beautiful with buildings dating back hundreds of years giving it a distinctive refined atmosphere. You can’t go very far without bumping into a University building or a café full of students enjoying their break between classes. Weekends are full of parties which usually start out with friends gathering at someone’s place to take a few enlightening beverages, or if you happen to have a little extra money (which Swedish students seem to have plenty of), usually eating a three course dinner at one of the various student "nations". 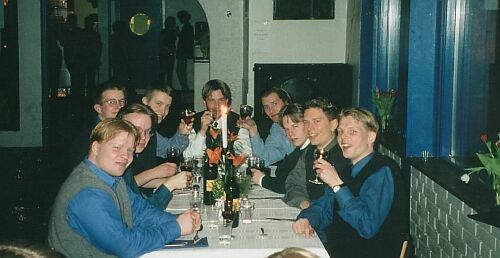 These three course dinners (called "sittning" in Swedish) with plenty of wine are always elegantly set with white table clothes, candles etc. and are accompanied with lots of toasting and singing. Lots of fun at latest when the tables are carried off and the whole local turns into a huge disco with dancing and parting long into the night. I myself tended to go to ÖstGöta nation where I also actively worked at a club named Betong. 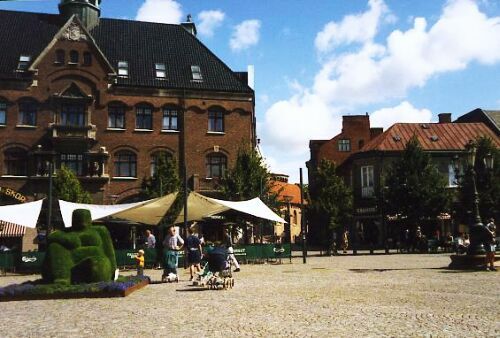 If you get tired of Lund you can always take a train to Malmö, in 15 minutes, which is Sweden’s third largest city. A number of students live there as the student residence situation is quite tough in Lund and why not - there’s even more to see and do there. Then there's also Copenhagen lying just an hour's trip away and all the other European metropolitans are easily accessed due to the areas southern location. Of course somewhere between everything else you have to study. It was the main reason I found myself in Sweden. During my university studies in Sweden, as well as abroad in France and Canada, I passed courses in some of the following subjects: marketing, organisational theory, management accounting, financial accounting, micro- and macroeconomics, financial economics, statistics, business law, investment analysis, business logistics, cross-cultural management, theory of finance, theory of capital markets, theory of banking, corporate finance, comparative geopolitics, comparative management, managerial communication, international finance and a few courses in political science. I succeeded in passing all my exams on the first try as I believe that once you start something you might as well give it your best efforts. No use in doing things twice when you can get them done with one try. You can also take a look at the course essays and articles that I have written which include my thesis and school work.